So I’ve Had A Heart Attack, Now What? Come enjoy a FREE lunch and learn about new treatment options and medical research breakthroughs happening right here in Jacksonville, FL. What new options can decrease further complications? What new breakthroughs are fixing underlying risk factors? Cholesterol is not the only answer! 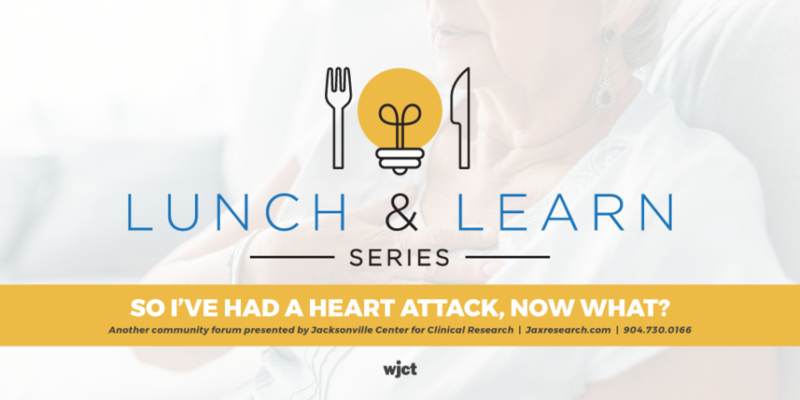 Join Dr. Michael Koren, a local renowned cardiologist & research principal investigator, as he discusses new treatment options and breakthroughs in medical research LIVE at WJCT studios in Jacksonville. This event is free, but space is limited and reservations are required. RSVP requested by January 29th by 12PM. Call 904.358.6322 or click the button below!